In the 1820's John Rich made his way traveling from logging camp to logging camp selling fabrics, socks, coverlets and yarn from the back of a mule cart. This was a time when the western frontier was largely undiscovered and the eastern states were beginning to settle. John Rich was only 25 when his first woolen mill in Plum Run, Pennsylvania was constructed. Within five years, the mill expanded and it was moved to what is known today as , PA. Clothing was made to accommodate the trades of a forging nation in form of utility, function and protection from the elements and environment. 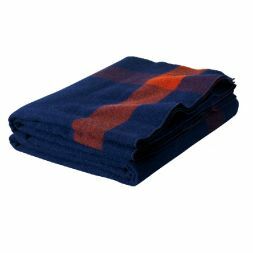 From this rather modest beginning, Woolrich grew and developed more sophisticated products with new production methods. By the early 1900's, Woolrich clothing had become legendary for its durable, rugged style and exceptional quality. Legend has it that Woolrich was the first company to use zippers in men's trousers. 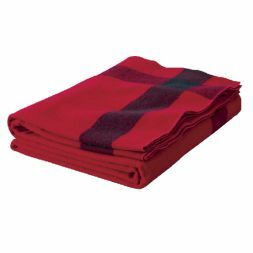 Wool from the Woolrich mill kept army troops warm during the Civil War. Woolrich outfitted the 1939 Admiral Byrd Expedition to Antarctica. During World War II, Woolrich outfitted U.S. civilian war workers in cold climates. In the 60's, the popularity of Woolrich clothing boomed on college campuses. The company expanded into four-season apparel, embracing cotton sportswear and outerwear in new product lines as well as enhancing the performance of wool. In the 70's, several Himalayan mountaineering expeditions utilized Woolrich gear in extreme conditions. Function, comfort and durability are incorporated into each garment, creating versatile apparel to be worn for countless activities. As the Original Outdoor Clothing Company, Woolrich has survived because of their commitment to be solely customer focused, never selling out to the "disposable" trends of today's fashion.